The NEX-FS700R is equipped with a new 4K Exmor Super 35 CMOS sensor (Total 11.6 million pixels) capable of cranking at up to 240 frames full HD resolution and up to 960 frames per second at reduced resolution. The high-speed readout chip is optimized for motion picture shooting, producing exceptional image fidelity with high sensitivity, low noise and minimal aliasing. The FS series cameras E-mount is designed to accept virtually all 35mm SLR, DSLR and cinematography lenses, with the use of simple, inexpensive third party adapters (sold separately) -without optical degradation-. FS series camera owners are able to use their existing 35mm lenses and add more lenses without being limited to a particular lens brand or mount. 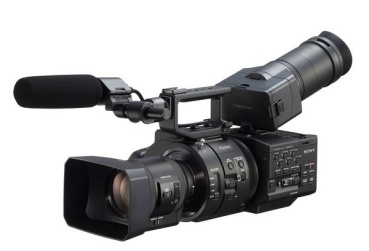 The NEX-FS700R features full 2K RAW up to 240fps or 4K RAW up to 60fps output to Sonys AXS-R5 RAW recorder. 2K and 4K recording is also available with compatible third party recorders. The NEXFS700R has an ISO range of 320 ~ 64,000. It features "S Log2" which allows the very wide latitude of the camera to be captures. The camera also features 800% 709 gamma curves, widely enhancing its exposure latitude and HD capability. HXRIFR5 Interface unit to interconnect NEX-FS700 to AXS-R5 RAW recorder.